Quiet studio apartment within walking distance to Tower Hill Station, E1W A good sized studio apartment with integrated kitchen located on the first floor of this purpose built development. 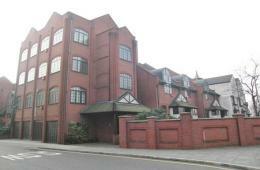 The property has secure parking and is within a few minutes walk to Tower Hill station. Ideal pied-a-terre. Bright and airy studio apartment opposite Wapping Station, E1W A well-presented studio apartment in Carronade House on Wapping High Street, positioned directly opposite Wapping Station. 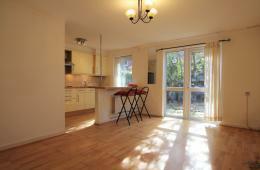 The property benefits from a separate kitchen, wood flooring, Juliette balcony and also has secure underground parking. This apartment is brilliantly located opposite Wapping Station with excellent links to The City and Canary Wharf and is within walking distance to the shops on Wapping Lane and the local bars and restaurants. 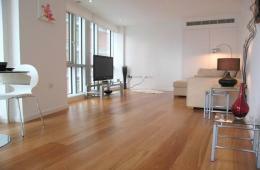 AN IMMACULATE 1ST FLOOR STUDIO APARTMENT IN THIS SOUGHT AFTER MODERN DEVELOPMENT, 21 WAPPING LANE, CORDAGE HOUSE E1W. The property features fully fitted kitchen , private balcony , concierge and comprises; Separate sleeping area with built in storage, good sized kitchen / reception room and private balcony. The property benefits from being walking distance to Wapping over ground station whilst being moments from the heart of the city. LOVELY STUDIO APARTMENT IN THE HEART OF WAPPING, OPPOSITE WAPPING STATION, E1W A stunning studio apartment located in the heart of Wapping in this well maintained development- The Carronades, E1W. 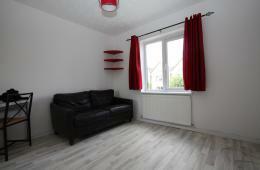 The apartment benefits from a good sized studio room with access to a Juliet balcony, separate fully fitted kitchen and newly fitted bathroom. Further benefits include secure underground parking whilst being on the door step of Wapping Overground station with direct access to the City and Canary Wharf. 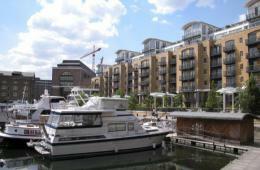 All the local amenities of Wapping Lane are within a minutes' walk away. PERFECT PIED-A-TERRE IN ST KATHARINE'S DOCK This apartment features a separate double bedroom unlike other studios and benefits from an integrated kitchen and a fully tiled bathroom. With access to St Katharine Docks from the foyer of the development, the apartment also benefits from 24 hour concierge and being walking distance to the City and Tower Bridge whilst being moments from Tower Hill underground station. A one bedroom apartment with canal views in the heart of Wapping, E1W This one bedroom apartment is located moments from St Katherine Docks and comprises, a semi open plan kitchen and reception room, one double bedroom, modern shower room and ample storage space within its own loft space. Located within walking distance to Wapping Station and local amenities and moments away from all the lovely bars and restaurants Wapping has to offer. ONE BEDROOM APARTMENT WITH GARDEN AVAILABLE IN TOWER HILL, E1 This fabulous ground floor apartment is situated in the private Royal Mint Street development. Comprises of a spacious reception room leading onto a private garden with sitting area, semi open plan kitchen with laundry room, carpeted bedroom with walk-in wardrobe. 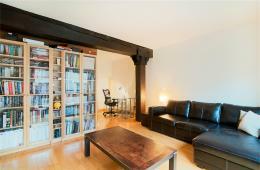 The apartment is within walking distance to Tower Hill Station. A FANTASTIC NEWLY REFURBISHED ONE BEDROOM APARTMENT The apartment is located moments from St Katherine Docks and comprises one double bedroom, semi open plan kitchen reception room, modern shower room and ample storage space within its own loft space. The property is within walking distance to Tower Hill and the City whilst being moments away from all the bars and restaurants for St Katherine Docks. Situated on the first floor of the well known Ballymore development on Wapping Lane, this studio apartment is of the highest standard, has a wall mounted flip down bed, a vast amount of storage and a slick bathroom. 21 Wapping Lane is a stunning development with contemporary finishes in a fantastic location which has brilliant transport links to the City and Canary Wharf and is close to all local amenities. ORIGINAL WAREHOUSE CONVERSION STUDIO APARTMENT, E1W A spacious studio apartment in this very desirable historic grade II listed development in the heart of Wapping. Offered in excellent condition, the apartment boasts a wealth of original features including exposed brickwork, cast iron beams and solid wooden flooring throughout. 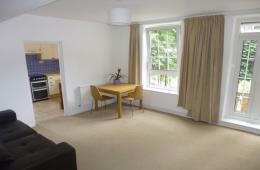 The property benefits further from a fully fitted kitchen, a modern bathroom suite and secure underground parking. 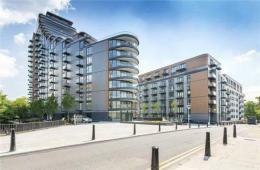 The development offers 24 hour concierge and is located within close proximity to Wapping station and local amenities. Ideal for a swift commute to the City of London and Canary Wharf. ONE BEDROOM APARTMENT MOMENTS FROM ST KATHARINE DOCKS MARINA, E1W A good size one double bedroom apartment on the 1st floor of this popular development boasting a South facing small decked terrace. The apartment is ideally located in very close proximity to the superb shops, bars and restaurants of St Katharine Docks and within easy reach of Tower Hill station. 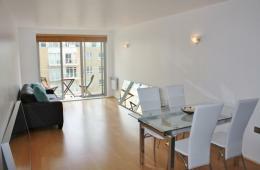 A fantastic bright and airy one bedroom apartment located in the Green Bank development in the heart of Wapping, E1W. The property benefits from its own private balcony overlooking the park, spacious double bedroom with built-in wardrobes and a spacious reception room. Located moments from the shops on Wapping Lane, the property is only a few minutes walk away to Wapping overground station with brilliant links to the City and Canary Wharf. ONE DOUBLE BEDROOM APARTMENT IN SCHOOL CONVERSION A recently refurbished bright, modern and airy one double bedroom apartment within a Victorian school conversion on the 3rd floor of this well located development. The apartment comprises an open plan fitted kitchen and reception area, showcasing a good sized bedroom with built in wardrobes and a modern bathroom. 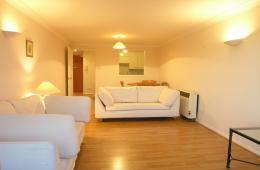 The apartment is located within a few minutes walk of the shopping & travel amenities of Aldgate Station and the City. Beautifully furnished one bedroom apartment on Narrow Street, E14 A fabulous apartment offering a large open plan reception room and modern fitted kitchen. 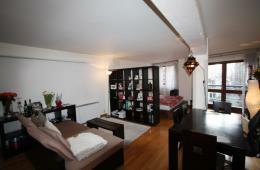 The apartment also benefits from a marble bathroom, private balcony, wooden flooring and is furnished beautifully. Located in the sought after Mosaic Development in the heart of Limehouse/Narrow Street area, within walking distance to Canary Wharfs bars, restaurants and Shopping facilities. 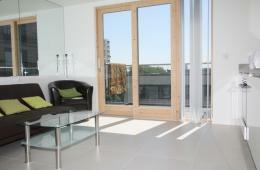 Limehouse DLR and Westferry DLR are the nearest stations approximately a five minute walk away. A fantastic newly refurbished two double bedroom apartment on the first floor of this sought after gated development, Kempton Court, E1. The property features wood flooring, a large semi open plan kitchen/reception room with Juliet balcony, courtyard views and comprises two double bedrooms, modern tiled bathroom and large kitchen/reception room. The property benefits from being walking distance to Whitechapel Underground Station whilst being moments from the famous bars and galleries of Shoreditch and Spitalfields. LARGE BRIGHT AND AIRY STUDIO APARTMENT IN DESIRABLE NEW CRANE WHARF, E1W Abatoria Residential are proud to present this large studio apartment in the highly regarded New Crane Wharf. The property offers a large galley kitchen, a spacious fully tiled bathroom, the lounge is a good space with the bedroom being sectioned off providing privacy. 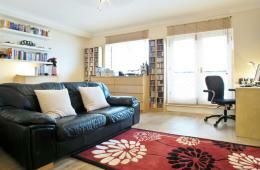 The property also boasts courtyard views and ample storage, secure underground parking and 24 hour conceirge. Wapping station is only moments away. 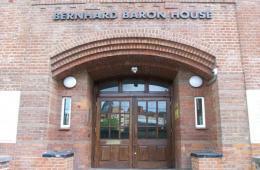 This one bedroom apartment is located on the second floor of a purpose build development on Wapping Lane. The property comprises of a double bedroom, well sized bathroom, reception room with mezzanine level and access to a private balcony. 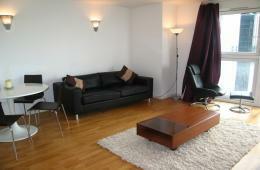 Located moments away from the local amenities and a few minutes walk from Wapping Station. Abatoria Residential are delighted to offer this well presented one bedroom apartment situated in this quaint location within the sought after Narrow Street area. The property comprises a spacious reception room with open plan kitchen, spectacular feature windows with shutters, triple high ceilings, wooden flooring throughout and ample storage space. Further benefits include a secure parking space and daytime concierge. The development is ideally located within walking distance to Limehouse DLR station which provides easy access to the City and Canary Wharf. This superb property is also situated close to the ever-popular Narrow Street with its extensive array of amenities, restaurants and bars. FANTASTIC ONE BED APARTMENT WITH DIRECT RIVER VIEWS IN NEW PROVIDENCE WHARF, E14 A ninth floor one bedroom apartment located in the highly sought after New Providence Wharf development. The property boasts spacious accommodation throughout, a private terrace offering direct river views, solid wooden flooring with under-floor heating and a fully integrated kitchen. The development also boasts 24 hour concierge service and leisure facilities including a pool, jacuzzi, steam and sauna rooms. Superb one bedroom apartment in Gun Place, close to Wapping Station, E1W A lovely one bedroom warehouse apartment on the first floor of this imposing period wharf building located in central Wapping. The property features a huge open plan reception room, kitchen and dining area with wood floors and floor to ceiling sliding doors to a Juliet balcony. The apartment is approx 712 sq ft, has secure underground parking, access to a communal roof terrace and has day time concierge. Gun Place is located 50 meters away from Wapping Overgound Station with brilliant links to The City and Canary Wharf and also within walking distance to all amenities of Wapping Lane and Wapping High Street. A fantastic one bedroom apartment situated in this prestigious warehouse conversion development located in the heart of Wapping Village. 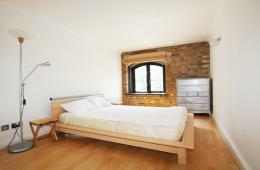 The property boasts spacious rooms with exposed brickwork, original warehouse features river views and wooden flooring throughout. 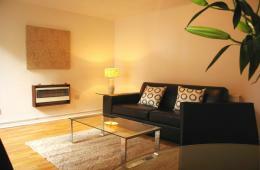 The apartment has recently been refurbished, is fully furnished to a high standard and benefits from 24 hour concierge. 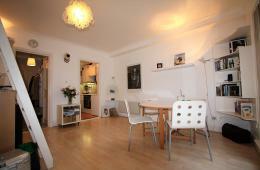 The propery is ideally located within a short walk to Wapping Station and local shops. This beautifully presented one bedroom apartment features a spacious reception room with floor to ceiling windows, a large double bedroom with fitted wardrobes, air conditioning, wooden flooring throughout, a state of the art kitchen with a range of integrated appliances and a modern bathroom suite. The development features 24 hour concierge, leisure facilities and room service is also available. The property is located within close proximity to the shops, restaurants, bars and transport amenities that Canary Wharf has to offer. 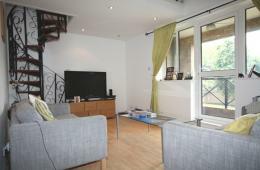 FANTASTIC APARTMENT IN A PROMINENT POSITION - OPPOSITE WAPPING STATION A modern and spacious two double bedroom apartment to rent in this private development in Wapping. The property comprises of a well proportioned reception room, open plan kitchen, Juliet balcony, two bedrooms, secure underground parking, lift and plenty of storage. 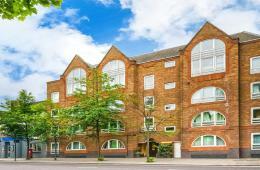 The apartment is ideally located in close proximity to the shopping & travel amenities of Wapping- situated directly opposite Wapping Tube Station and well located for both the City and Canary Wharf. A stunning and spacious one double bedroom apartment on the 2nd floor of this riverside development, boasting direct river views from a large private terrace. The property features a spacious reception room with wooden flooring throughout, separate kitchen and a large double bedroom. 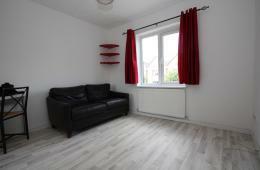 The apartment is offered fully furnished and includes a secure parking space. 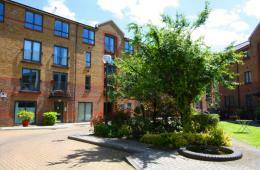 The property is ideally located in close proximity to Limehouse DLR and within easy reach of Wapping.